Enjoy views of the Willamette Valley and stroll through fields of mature lavender. Choose from a wide variety of English and French lavender, ranging in different floral scents and colors. We welcome you to our farm! Lavender is $7 per bundle (roughly a twist-tie full). We provide baskets, scissors and twist ties. 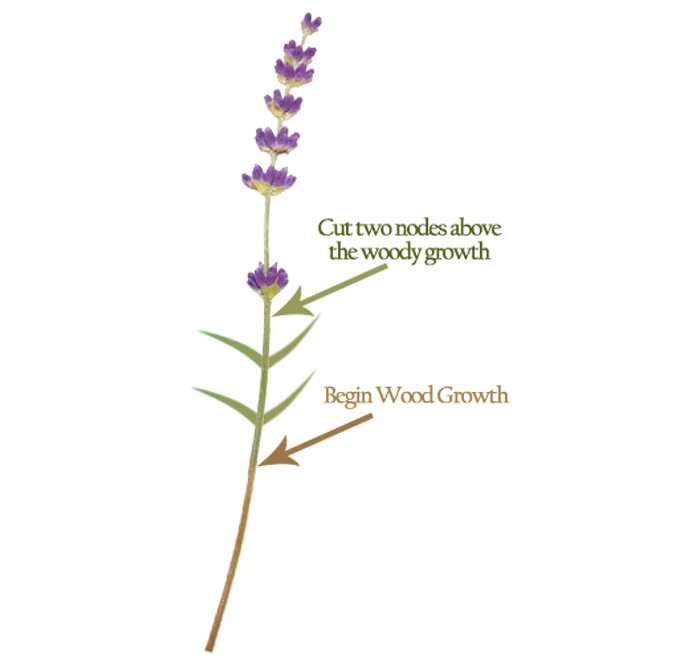 Cut lavender stems back after they finish flowering for the first time to encourage a second flush of blooms. Cut two nodes above the wooded area. Do not cut into the wooded area. Use a rubber band or twist-tie to hold the bundle together. Harvesting Tip: instead of cutting one stem at a time, try grabbing a small hand-full and cutting. Wanting to harvest lavender for drying or for use in floral arrangements or bouquets? Here are some helpful tips. Drying: after harvesting your bundles, hang lavender upside down for approximatly 1-2 weeks. The flowers will drop while the buds remain. To remove the buds from stems, gently pull the spike through your fingers from the cut end to the tip so the dried buds separate from the stem. Floral: to preserve lavender color and to prevent wilting, place in 1-2 inches of water. If using in bouquets cut away to wet stems. Prune lavender in early fall after the plant is finished flowering, leaving about 2 inches of green growth behind. 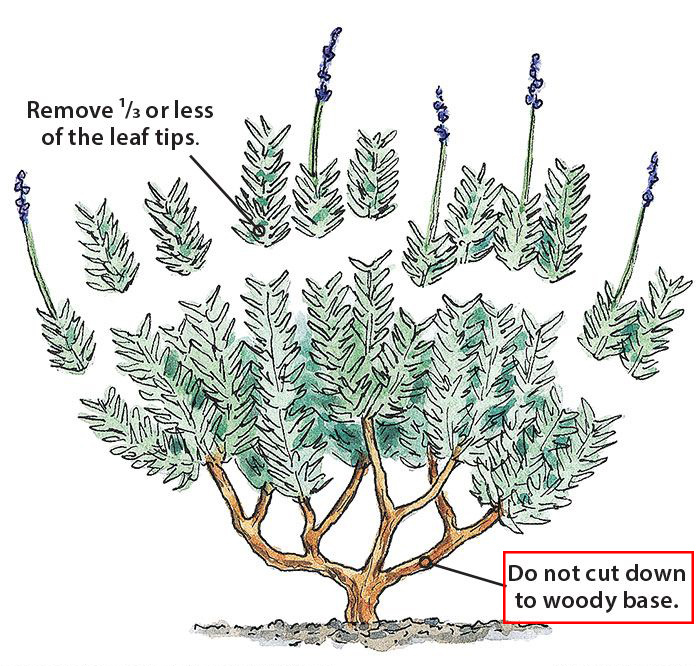 This pruning tidies your lavender plant for the winter season and encourages bushier growth the next year, according to the Washington State University Extension. You can also wait until early spring to conduct this pruning. Do not cut into old wood.